Chinchilla - Is it one of our cutest animals? your choose. Chinchillas were once on the list for endangered species as people used to hunt them for their fur. This is because their fur is hypoallergenic (means people who are allergic to fur can touch this type of fur) and thought to be the softest of all land animals. Nowadays hunting chinchillas is illegal and they are kept as pets, as can be found in the wild. What does a Chinchilla look like? Considerably one of the cutest animals. They are small animals with long fluffy tails. Their mouse-like ears sit on top of their head. They may be mistaken for a rabbit if you’re not careful, but take a closer look, and you will see that rabbits have rounder heads while chinchillas have more pointed chins. On average they are slightly bigger than a squirrel – if you put it in a grown-up’s hand it would probably sit there quite comfortably! Chinchillas are in the animal class: mammals which usually means they have fur or hair. Chinchillas would be found in parts of Bolivia, Peru, Argentina, and Chile, but today, they are mainly only found in the wild in Chile. However, you can find them at houses near you or pet shops! How long do Chinchillas live for? Chinchillas live for around ten years in the wild. However, in captivity (a home) they can live up to 20 years which means if you’re thinking of getting them for a pet prepared to have this companion for a while! What do chinchillas do if they feel endangered? When a chinchilla is feeling threatened or being attacked, they will shed a large amount of hair. This is called a fur-slip. Otherwise, they might, but that is very unlikely. How often do mummy chinchillas give birth? Usually, females can have babies (kits) around twice per year. They normally give birth to around 2 baby chinchillas per litter. However, their litters can be as small as just 1 kit, or as large as 6 kits. 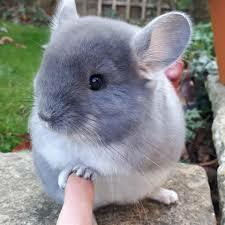 Is a Chinchilla a good pet? Overall, they are good pets due to their beautiful soft, lush fur, an inquisitive, boisterous nature and no objectionable noises. One of the best qualities is that they are very low-maintenance pets. 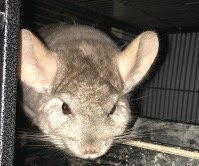 On the downside, chinchillas are somewhat high-strung, and they have relatively short attention spans. They also do not tolerate hot weather or high humidity well. How do you look after a Chinchilla? Housing your pet – The minimum cage size for a pair is around 1m x 1.5m floor space, by 1.3m tall, with shelves at different heights. At the bottom of the cage use dust extracted bedding or shredded paper. As well as a small bed with chinchilla friendly dust. This is because in the wild they do not take baths in water. Instead, they take baths in volcanic ash and dust. Which gets all the oils of the fur. Make sure you let your pet out at least once a day to have a stroll around (but be careful not to lose them!) Due to them being nocturnal, it is best taking them out early evening. Make sure the chinchilla has fresh water every day, organic hay and pellets. 1) What is a feature a chinchilla will have? 2) What animal class are they? 4)How long would averagely you keep a chinchilla for? 5)What is a good quality for having them as a pet? 6)What is the bad quality of a chinchilla? 7)If you lived somewhere with high humidity would they be happy? 8)What should you be careful about when letting a chinchilla stroll about the house? 9) What do Chinchillas eat? 10)What would you name your chinchilla?